Kelly, 1891, lists the B & C Companies 4th Nottinghamshire Volunteer Battalion Drill hall, Carter gate and records it as their Headquarters in 1904. 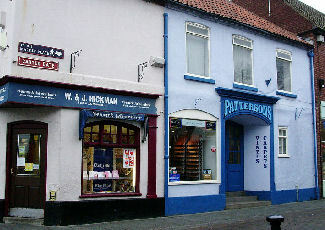 These premises still stand and were eventually used by the Salvation Army. 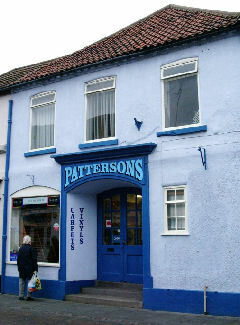 They are now in use as a carpet shop (2006). It is brightly painted and seems cared for. The interior includes two balconies; one is original, but the age of the other is uncertain and it is speculated that it may have been constructed during the Salvation Army's use of the building. The new balcony extends out over the front entrance hall, the older one is a closed space over rear offices or rooms at the far end of the hall space. 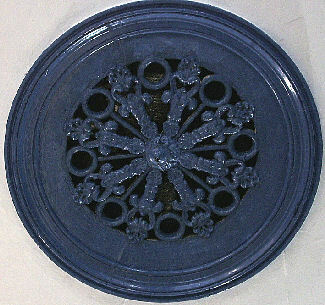 The iron ceiling rosettes and the sculpted coving are particularly attractive features. Cook, 1900 and Kelly, 1891 record the 4th Bn Sherwood Foresters Militia Headquarters at Albert street and Kelly, 1904, lists Hawton street. However, Hawton street is the continuation of Albert street at the crossroads adjacent to the drill hall, and therefore the references are to the same premises. The drill hall was known as Albert Street Barracks and was demolished in 1974, to be replaced by housing. It has not been possible to trace Sherwood street. It is neither shown on any old maps nor mentioned in trades directories. 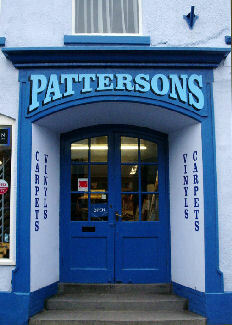 Many thanks to Pattersons Carpets for allowing me to explore the building freely and take interior photographs.